This first news item describes how many low caste and outcaste people are treated by high caste Hindus in India today, while the second describes what some do about it. Dalit, meaning ‘ground down’ is the widely-used term in India for low caste and outcaste people. Even after 60 years of Independence, there still exists a side of India that is hard to believe. A Dalit man in Tamil Nadu was forced to eat human excreta because he wore slippers in the presence of upper caste people. "They said hereafter no one should come in wearing slippers. Arokiasamy told Anbu to put human excreta into my mouth. They hit me severely on my abdomen and shoved it into my mouth," said the victim Sadayandi. "Even men who come by cycle have to get down and push it into the village," said his wife Nagajothi. The police took more than a week to file the First Information Report (FIR) under the Prevention of Atrocities Act. And even after that, they were not willing to book the accused. Instead, they want the victim - who is in hiding because of fear - to prove that the crime occurred. "If this has happened he has to come forward to give some clues and explain about the incident. Only then I can go deep into this matter," said the Deputy Superintendent of Police. The Madras High Court has now asked for an action taken report. A few years ago, NDTV had exposed atrocities against Dalits in the state. In many areas they are forced to remove footwear before entering the village, walls deny them access, thorny fences greet them in fields they use as toilets. Even elected Panchayat leaders are forced to quit. Thanks to vote bank politics successive governments seem to have only gone soft on dominant communities. Politically, Dalits are a divided lot in Tamil Nadu. While the state pampers them with welfare schemes, its tacit support to human rights violations by powerful dominant communities is only making things worse. Ahmedabad, Gujarat - Close to 11,000 people, including those from the Koli and Kshatriya communities as well as Christian families, embraced Buddhism at a function in Saijpur Bogha here on Sunday. Buddhist monks from Bhante Pragnyasheel administered the pledges to the new converts. The Ahmedabad district collector, however, said no conversion could be effective unless an official permission was granted. “Five Hindu Dalit families that had earlier converted to Christianity also converted to Buddhism at the function,” said Balkrishna Anand, convenor of the Bauddh Dhamma Deeksha Angikar Abhiyan (Gujarat). “We were working on the event for the last few months, touring many districts and conducting meetings to mobilise people,” he said, adding that in all, 350 meetings were held to spread the message across the state. Maintaining that nearly 11,000 people converted to Buddhism at the function, Anand said the neo-converts had come from places as far as Patan, Surendranagar, Rajkot, Vadodara, Junagadh and Mehsana. Renowned Buddhist leader Kalpana Saroj was the chief guest at the function, which was presided over by five Buddhist monks from various parts of the country. I'm a bit skeptical of media reports that label attacks on Indian students as "racist". The fact is that Indian students in particular are more susceptible to violence due to their afterhours employment in which they travel late through typically dangerous areas in the city, like subways and poorly lit areas. These places are dangerous for everybody. Possibly because of the ethnicity they are seen as "soft targets", not because of their race but more to do with the fact that aren't Australian and so can be victimised and exploited due to their foreign status. Like how tourists are susceptible to exploitation in any country. Also I'm sure there is a hell of a lot of violence that goes on towards Australians of every ethnicity that is not reported by the media simply because it's just not topical and therefore uninteresting. Sorry Mushinrosa, I agree whole heartedly with your diagnosis and conclusions. It was a feeble attempt at cryptic humour on my part! I was trying to point to the so called media storm over these recent months and how it(in India at least)seems to ignore the endemic racial and ethnic in justices that are probably daily events there. Aussies are so non plussed by all this sort of thing because the Muslim population here for example keeps screaming victim(nothing unusual there) over the most minor of matters since 9/11, to the extent where they(Australians) start to believe that it must be true that they are uniquely racially bigotted as a whole. By the same film maker, the awarding winning documentary, "India Untouched" shows how caste blights even "egalitarian" religions such as Islam, Sikhism, and Christianity in India. The news of conversions is certainly heartening in many ways! Perhaps when enough Dalits become Buddhist, the great Mahabodhi Temple might even be returned to Buddhist control. We certainly can't hope for anything from the Mahabodhi Society of India as it is presently constituted. I am not sure ..as to how many of these Converts Really Practise the Teachings & Precepts in true Faith. After Ambedkar there have been many such Instances. His Reforms were not Effective as they should have, becuse he converted to Buddhism & Blamed Hinduism, instead of Reforming Hinduism from Within. I might be a Hindu but As much as Possible try to follow the technique , Take Refuge & Precepts in daily Life. Some hindus (mostly those in and around Mumbai) already see Buddhist in the same class of Evangelist (Pentecoast) Christians.Though Definitley there is no money Involved. What more , whenver i Extoll the Virtues of Vipassana & Buddha's teaching to my friends & Relatives, i hit a Snag as they think that i am converting them from one Religion to another. Goenkaji always insists that there is no need of any conversion , but i saw some news reports indicating that he on earlier instances has participated during such occasions. In Tamilnadu the Mention of Buddhist teaching Leads to aversion due to Sinhalese Monks Anti Tamil Stand. Bhimrao Ambedkar said it best.‘Reformers come and reformers go but caste remains the same’. Ambedkar genuinely tried to reform Hinduism from within in regards to caste – as did Gandhi, Swami Dayananda, Caitanya, Kabir, the Buddha and many, many others, and caste with all its cruelties and indignities remains. Well-educated Indians like yourself take little account of caste, but hundreds of millions of others take it very seriously and suffer from it very badly. As I am sure you are aware Buddha, there are still many temples in India which will not admit low caste people. The Indians got rid of the British when they failed to treat them as equals and with dignity – and rightly so. Dalits are renouncing Hinduism for the same reason – and rightly so. 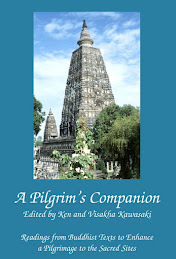 It is true what you say that many Dalit converts often have a merger knowledge of the Dhamma. They may not know much about the Dhamma but they do know what Hinduism teaches about them and how it treats them and for many that’s a good enough reason to seek another faith. Yes i admit that there are Temples in India which do show such discrimination and they have the Right to Convert and even if i am in their position i would do the same. 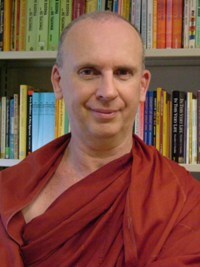 But the Process of Conversion must be followed by a min 10 Day Retreat where they Learn the Technique and the core of Buddha's teaching. The conversion should not happen in an Intellectual Level by just preaching , it has to be followed by a Retreat. Note :(Goenka ji's Residential retreats are Free)and evry one can easily make it. If mass conversions whithout Practical instruction or initiation into Meditative technique happens they will only lead to the Dilution of Religion or give a bad name to the Religion which will inhibit the Spread of Technique. Uttar Pradesh and Mayawati are classic Example of a State and its chief who strive to earn a Bad Reputation for Buddhists. On a similar note a abt Hinduism.. Though I agree the Classification is by Occupation (Which is Definitley Regrettable) and i think even this might be the additions by Later Brahmins to maintain their Status. Hope i do not sound as Defender of Hinduism. these people qualify as "true practsing Buddhists" I would guess that these new Buddhists have had plenty of time on the caste treadmill to consider their options wisely. Good for them! In my experience I should say that of the many western people that i am aquainted with, some, have over the years, done all the meditation retreats, listened to many Dharma talks,even travelled to the holy sites of Buddhism in India and so on. 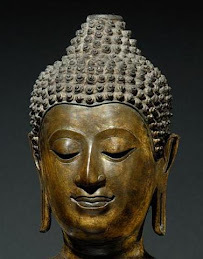 I am still rather surprised when after many years they say something like " well I like nearly everything about Buddhism...but I would not call myself a Buddhist" My reasoning for this-at a guess- is, that they still have " unresolved God issues". Not my business actually, but good for them too! 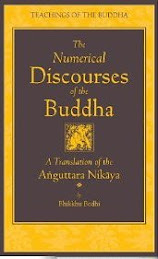 My point is that it is, surely a feature of Buddhism that we celebrate the ability for the prospective convert or even the new convert or the more advanced convert, long time traditional "ethnic Buddhsts" and so forth, to evaluate and re- evaluate the path they're on to their own satisfaction. My guess is that a cross section of Buddhists as a whole would reveal that only a relative few have made the determination to attain to release from suffering in this lifetime. 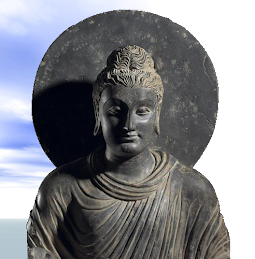 However that does not disqualify the rest from regarding themselves as Buddhists. So too our new Buddhist friends emerging from the oppresed of India. Lets all wish them well and where possible give them our support. There is a Hindu text that does provide the ideology behind the caste system. It is called the Manusmriti and written by a fellow called Manu who claims he is a descendent of one of the Hindu gods. I read this ideology which basically says that the Brahmin is made from the mouth of god, the warrior caste from his uppers arms or something, the Vaisya from his thighs, and the shudra from his legs. There is this vertical hierarchy and the lower people are made from the lower parts of the Hindu god, Brahma I think it was. This text is thousands of years old and though I am quite certain that many if not most Hindus probably don't believe such stuff anymore, the caste system still exists as it has other reasons besides ideology to exist in this day and age still (probably there were other reasons before too). metal things attached to their penises. Aryan women are described in a different way and no sexual violence is promoted against them. Some say the outcastes were non-Aryans, I guess not made from any part of the god perhaps .